Happy Australia Day! to all my fellow Australian's where ever you may be in the world! "History - taken from Wikipedia"
On 13 May 1787, a fleet of 11 ships, which came to be known as the First Fleet, was sent by the British Admiraltyfrom England to Australia. Under the command of Captain Arthur Phillip, the fleet sought to establish a penal colonyat Botany Bayon the coast of New South Wales, which had been explored by Captain James Cookin 1770. The settlement was seen as necessary because of the loss of the colonies in North America. Captain Phillip found Botany Bay unsuitable and with two boats proceeded a short distance northwards to Port Jackson, which he declared "the finest harbour in the world". The site decided upon for the first settlement was at a location where there was a stream of potable water and some level land, unlike much of the steep and rugged foreshore. By the afternoon of the 26 January 1788, all of the fleet was at anchor in or near Sydney Cove. Before sunset, the British Flag (Queen Ann)was raised in the name of George III of Great Britain. In 1808, the day was celebrated as the "First Landing" or "Foundation Day", as the colony had survived for twenty years, despite the initial hardships, deprivation and starvation suffered by the First Fleetsettlers. The celebrations began at sundown on 25 January, and lasted into the night, the chief toast of the occasion being Major George Johnston. Johnston had the honour of being the first officer ashore from the First Fleet, having been carried from the landing boat on the back of convict James Ruse. Despite suffering the ill-effects of a fall from his gig on the way home to Annandale, Johnston led the officers of the New South Wales Corpsin arresting Governor William Blighon the following day, 26 January 1808, in what became known as the "Rum Rebellion". On 26 January in 1818, the 30th anniversary, Governor Lachlan Macquarieheld a 30-gun salute at Dawes Pointand gave government workers a holiday – a tradition that was soon followed by banks and other public offices. In 1888, all colonial capitals except Adelaidecelebrated 'Anniversary Day'. In 1910, South Australiaadopted Australia Day, followed by Victoriain 1931. By 1935, all states of Australia were celebrating 26 January as Australia Day (although it was still known as Anniversary Day in New South Wales). The 150th anniversary of British settlement in Australia in 1938 was widely celebrated. Preparations began in 1936 with the formation of a Celebrations Council. In that year, New South Wales was the only state to abandon the traditional long weekend, and the annual Anniversary Day public holiday was held on the actual anniversary day – Wednesday 26 January. The Commonwealth and state governments agreed to unify the celebrations on 26 January as 'Australia Day' in 1946, although the public holiday was instead taken on the Monday closest to the actual anniversary. 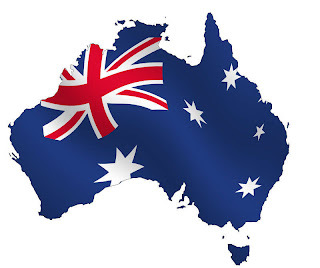 Happy Australia Day to all Australian's wherever you may be in the world.